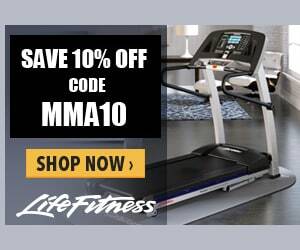 Life Fitness is one of our sponsors and has provided us with a great deal. Our fans can get this great offer by using our Life Fitness Coupon. When you use one of our promo codes you are directly supporting our podcast and site. Thanks for your support. The mission at Life Fitness is to develop the fitness solutions that get the world moving. And they feel that it’s extremely important to practice what they preach. The culture at Life Fitness revolves around what their products stand for—active and healthy living. Gym bags are as common as coffee mugs at our global headquarters outside of Chicago and at our nine other offices worldwide. Their product showrooms double as bustling employee gyms, and lively group workouts are an important part of the daily routine. The best way to know everything they can about their fitness products is to use them every day. Helping people live healthier lives is what they do, and the devotion to that goal. Life Fitness has tons of different products. In the Cardio section, they have treadmills, ellipticals, upright bikes, recumbent bikes, rowers, climber and certified pre-owned equipment. More than 500,000 Life Fitness treadmills have been created since 1991. Their treadmills for commercial gyms have a reputation for reliability and comfort. The FlexDeck Shock Absorption System, reduces stress and provides an effective cardio workout suited for exercisers of all fitness levels. Life Fitness treadmills are fixtures in clubs and athletic facilities around the world. Life Fitness also has a large selection of strength training equipment. They have selectorized, plate-loaded, cable motion, multi-use, benches and racks, and Hammer Strength.